WhatsApp has submitted a new update through the Google Play Beta Program, bringing the version up to 2.19.106. But what features has WhatsApp added in this update? Let’s find out together the news .. The new UI and improvements for the WhatsApp doodle are finally available. You need to update to the 2.19.106 beta version in order to receive the activation from the server. Precedent versions might get the feature as well, but we recommend to always update to the latest version to receive it quickly. The Authentication feature is under development and it will be available in future. We have talked about new hidden improvements in the 2.19.71 update for the WhatsApp Doodle. Those improvements weren’t available because the feature was under development. Updating to the 2.19.106 beta update, all beta users should be now able to take advantage of the feature, that improves the user experience when sharing media. 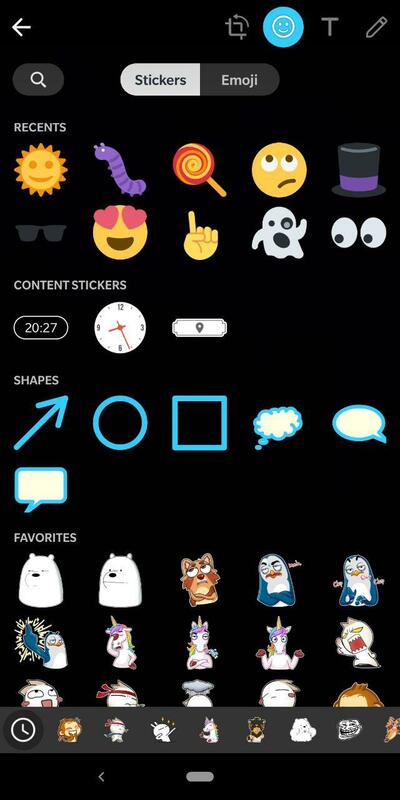 As you can see in this screenshot, now there are two separate tabs: Stickers (where you can find first and third party stickers, and content stickers) and Emoji. Stickers are also grouped by Favorites and Category, so you can easily find the sticker you wish to use. Using this feature, we are now able to put stickers on images, videos and GIFs. A Search feature was planned and added in this update too. In this beta update we find a new improvements for the Authentication feature (that’s not available yet). When the Authentication feature will be enabled, your fingerprint is obviously required to open WhatsApp, but conversation screenshots are blocked. It means you won’t be longer able to screenshot your chats if you enable that feature. 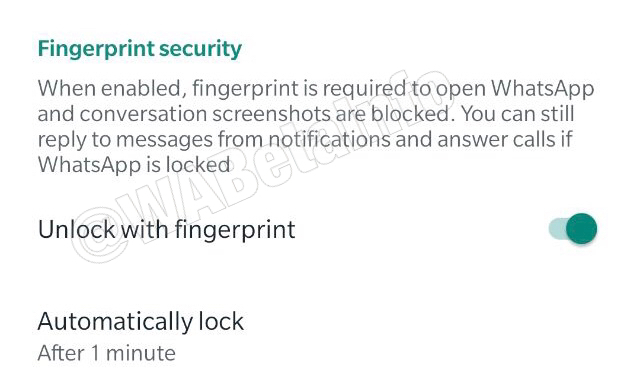 We do not know why WhatsApp decided to prevent screenshots when fingerprint is enabled, and personally I don’t know if users like the idea. I wait your opinion under my tweets! Previous PostPrevious WhatsApp beta for Android 2.19.101: what’s new?